1. A way to employ small data sets and familiar statistical techniques to characterize CDR spectra as a guide to scholarship on CDR pat- terns and trends. 2. 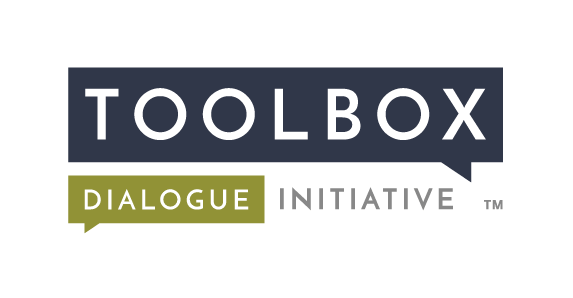 A model for using bibliometric techniques to guide broadly applicable interventions similar to the Toolbox. 3. Amethodforidentifyingthelocationofcollaborative CDR teams on a map of scientific activity, of use to research administrators, research teams, and other efforts to enhance CDR projects. Williams, C., O’Rourke, M., Eigenbrode, S. D., O’Loughlin, I., Crowley, S. (2013). Williams, C., O’Rourke, M., Eigenbrode, S. D., O’Loughlin, I., Crowley, S. (2013). 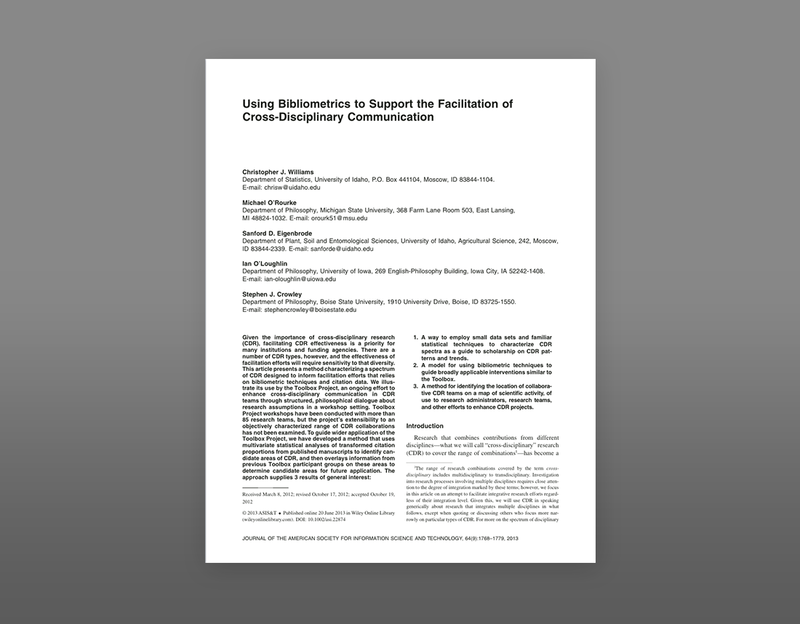 Using bibliometrics to support the facilitation of cross-disciplinary communication. Journal of the American Society of Information Science and Technology 64(9): 1768-1779. DOI: 10.1002/asi.22874.